We spent more time exploring the Whiteface Region this year than ever before - and we are so glad we did! Here are four of my family-friendly highlights from the 2014 year! This year, we found out just how great Whiteface Mountain is… I mean, we always knew it was THE place to be in the winter. And, during the fall we’ve often enjoyed the gondola ride and the foliage - along with Oktoberfest. But… this summer the new Whiteface Adventure Zone got (and held) our attention - over and over again. What fun for the whole family! From our youngest bounce house enthusiast, to our oldest jump onto the Airbag adventurer, Adventure Zone got our many thumbs-up of approval. Check out this video from our first visit - and if you want to read a bit more check out this summer Adventure blog. And, of course, Whiteface Mountain is the place to be for winter fun, too! From riding to skiing, biking to hiking, this is a great stop to plan into your trip. We love visiting Santa’s Workshop. In the summer, the oldest theme park in the Northeast offers full days of fun. From feeding Santa’s reindeer to kiddie rides, themed character shows to visiting the "real" Santa, we always have a great time with our youngest visitors. In the winter, we visit the Village of Lights - a special holiday activity that’s perfect for the whole family. On certain weekend days during early December, and then between Christmas and New Year’s, Santa’s Workshop opens for the evening. The sparkling village offers a memorable experience for guests of all ages. While there aren’t as many open attractions as in the summer - the big draws include visiting good old St. Nick, checking out the elves making toys in their workshop, and of course, the candy shoppe! Check out this fun blog detailing a cool summer day at Santa's Workshop. The foliage in the Whiteface Region is awesome. 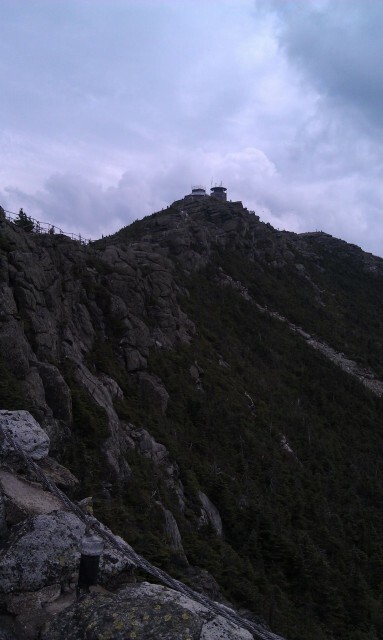 The views from on top of Whiteface are outstanding. We love to hike, but our favorite pick for a quick afternoon excursion that yields great views - the Veteran’s Memorial Highway. This scenic 8 mile drive ends at a castle on top of the mountain. 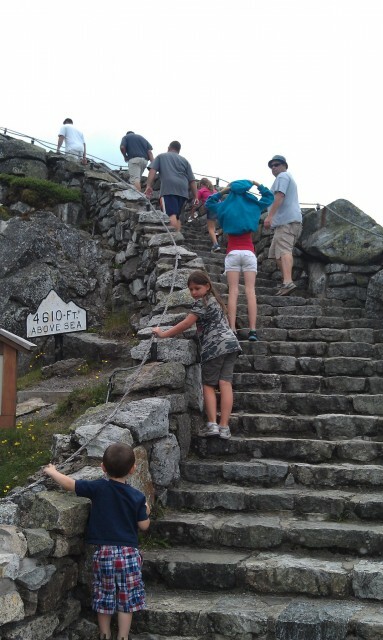 Our family usually chooses to take the hike up the stone steps to the top viewing area, but you can choose to take the elevator to the top if you prefer. A perfectly accessible, perfectly pleasant afternoon for all! Check out this Veteran's Day blog to learn a few random facts and a bit more about the history of the Veteran’s Memorial Highway. From organic milk and cheese, to free-range chicken, fresh vegetables to seasonal fruits, we love to visit the local farmers' markets. This fall we had a chance to get up close and personal with a few cows while visiting the market store at the Sugar House Creamery. It's one of the great things about being in a small town - the owner's are usually onsite and more than willing to talk to you, and in this case, give a tour of the farm. We got to pet a few cows, learn some cool facts, and check out the barns. The farm, located in Upper Jay, is also the site for the The Snowy Grocery winter markets which are taking place Sundays from 11am-2pm throughout the colder months. This new winter market features vendors from across the region - check out their facebook page for a list of this week's offerings! Here's a fun food-tasting blog we did for the Whiteface Region. Yum, I'm craving something sweet just remembering all the delectable treats we had on this adventure! Join us in the Whiteface Region in 2015. There's so much to do, so many adventures to be had. Where will you start!? Check out our events calendar and start planning today!